The great uilleann piper and founding member of Planxty Liam O’Flynn has died. The first time I heard Liam O’Flynn play, I burst into tears within ten seconds. I was 18, and caught a snippet of something wonderful on WWOZ‘s Irish/Scottish music show “Music in the Glen” (I must confess I don’t remember who was doing it in 1980). I heard the back announce it was a band whose name sounded like “Planks Tea” and had never heard of them. Very soon after I went to my favorite record store, the late lamented Leisure Landing on Magazine Street, and dug through their Irish music section. “Oh, it’s spelled Planxty!” I said as I came across their latest album, “After the Break.” Bought it and brought it home. I can still remember putting on my gigantic Koss headphones, placing the needle into the groove, and listening to the first song, “The Good Ship Kangaroo.” That’s a wonderful singer, I thought, called Christy Moore. (Who sang at our wedding, in fact. Well, a recording of him did. Try as I might, I was unable to get the greatest living Irish musician to do a wedding in Pasadena on a Thursday during rush hour.) The interplay of strings — mandola and … Irish bouzouki?! What the hell?! — between Dónal Lunny and Andy Irvine. I’d never heard anything like it. Gooseflesh broke out. And then, after the second chorus, Liam burst in with the uilleann pipes. And my head exploded. And as Andy himself sang years later, recounting the story of the first time he heard the Clare piper Willie Clancy, the tears welled in my eyes. I’d never heard anything so beautiful. I wore that album out, then bought a second one and wore that one out. The LP copy I now have is the third one, and the CD I bought afterward I’ve managed not to wear out. From those four musicians, the other bands they played in, or with, or produced, and all the othe rmusicians that they led to, and their bands and solo records, all branched out into not just a tree but a forest of Irish music that led to a wall of records, all from the seed of that one song. Then there was the Planxty reunion in 2004, the single greatest musical experience of my life. More on that later. I’m still having a hard time dealing with this — his music meant so much to me. All the lads in Planxty are getting up there too — Andy turns 76 this year, Christy 73, Dónal 71. They all seem perennially youthful to me though, and their music to this moment surges with energy and life and vivaciousness. I’ll miss Liam terribly but fortunately he’s left a lot of great music behind. Ar dheis Dé go raibh a anam. 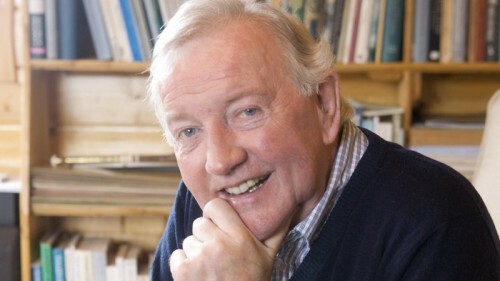 Here’s a great remembrance by Leagues O’Toole, whose Planxty documentary in the early oughts led directly to the reformation of Planxty for their first reunion show in 23 years in Lisdoonvarna, and then their legendary 10-night stand in 2004. We’re still out here and noticing! I’m trying to repost my old review of the Planxty show in Dublin in ’04, but my WordPress build is apparently several versions behind, this browser doesn’t like the current one, and I have apparently forgotten how to use it all in the last three years. The struggle continues, though! How funny to see this pop up in my Feedly this morning. It took me a second to remember what Looka was!